How many cups of coffee have you had today? Three? Eight? As if it bears repeating, but scientific research has found that your caffeine addiction affects your sleep. And not in a good way. 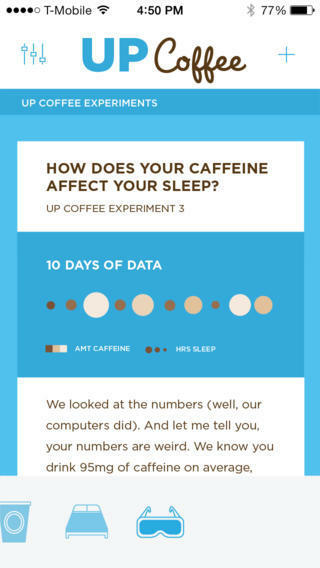 UP Coffee, a new up from Jawbone, wants to help you understand your body’s reaction to caffeine through science. 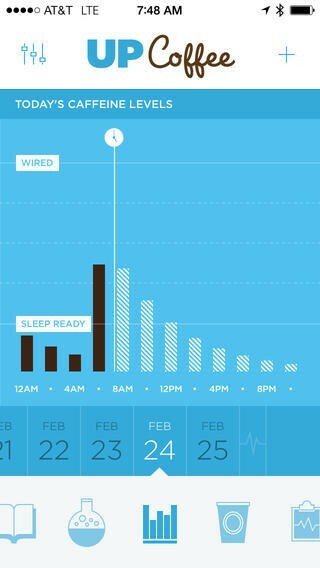 The app, in turn, will helpfully ensure you won’t become jittery and depraved once you turn in for the night. Put down that Starbucks, and listen up. 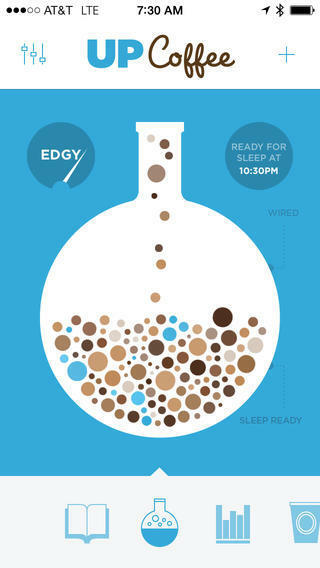 UP Coffee is cleverly designed to show how your caffeine levels change throughout the day—it doesn’t matter if it’s a shot of espresso or a 24-hour Energy, the app will record your intake so you know exactly when to back up so you can get a good night’s sleep. Everyone can use a good night’s sleep. Through simple charts and easy-to-understand graphs, the app displays when you’re wired with caffeine, and how long it’ll take until you’re sleep ready. Me? 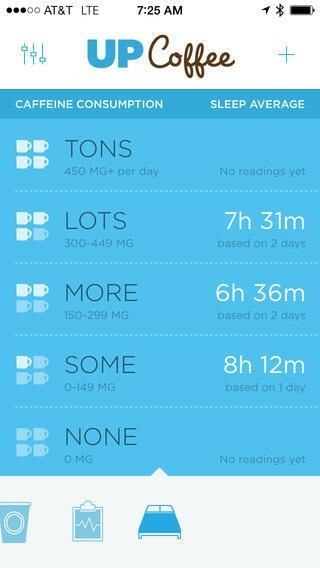 my caffeine intake is minimal, and I never drink coffee, so I’m pretty much always sleep ready? Sean, our Editor-in-Chief? He is wired, believe me. UP Coffee also provides guided ways to change your caffeine addicted behavior, with multi-day experiments and little suggestions that can potentially make a huge difference. We’re not saying you should kick your caffeine addictions altogether. But maybe you should lay off the iced coffee before going to bed. 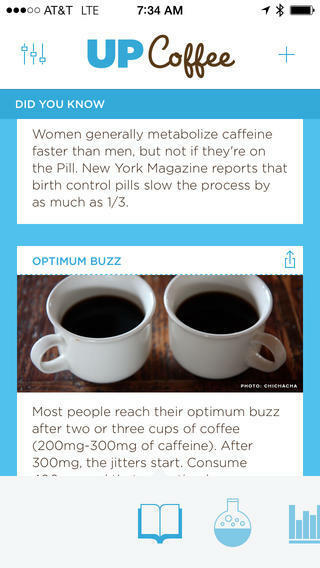 UP Coffee is currently available for free for iOS.